Collecting data on your customers serves no real purpose unless it is used to take meaningful action. Big data is big, and it’s only getting bigger and more complex. Companies are collecting customer information across channels, including text, voice call, online and chat. As customers find new ways to communicate with their companies of choice, the amount of data will continue to grow. Collecting that information is a great start, but the bigger question is whether companies are actually doing anything with it. Odds are, probably not. Thirty-two percent of executives say that massive amounts of data is thwarting their decision-making efforts, indicating that they simply don’t know what to do with the data they collect. However, inaction is not an option. Customer expectations are sky high, and those expectations will only continue to increase. To stay competitive, it’s important to do more with the information collected. Customer data is rich with insights that can inform successful sales and retention strategies, but it is only valuable if companies actually use it to make changes. By using the right technology to extract the proper insights, companies can take the right steps to ensure customer experience success. For customers, actions speak louder than data, and it’s time for companies to use that data to take action. Customers want to know that companies hear them and understand their individual preferences. Unfortunately, in spite of the fact that data is streaming in across multiple touchpoints, many businesses are working with old or incomplete information. And customers know. 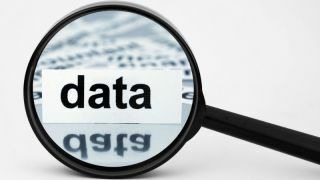 According to Vanson Bourne, 66 percent of customers in the UK think companies are using outdated data about them. In addition, another 64 percent believe that organisations make assumptions about them based on a single interaction. And it’s certainly not in customers’ heads. A recent survey found that 39 percent of C-suite leaders admitted to heavily relying on just one data point to make changes in the business. Just over half of organisations trust "gut feelings" about customer data rather than actual analysis. Companies are flying blind when it comes to making decisions about a critical asset: their customers. What’s worse it many business leaders aren’t leveraging widely-available analytics technology to ease their pain. Businesses primarily forego analytics because they believe it’s too complicated, are overwhelmed with data sources or don’t believe that analytics add value to the organisation. The reasons behind this misuse of data is likely rooted in a “there’s no pressing reason to change” mentality. Sixty-eight percent of executives admitted to taking a reactive approach that avoids major changes until there’s a problem. Given this tendency, it’s no wonder that 59 percent of respondents admitted they had led unsuccessful change initiatives, nearly half of which were because companies didn’t deliver what customers wanted. Companies aren’t using the right information about customers, and it’s affecting how they do business. If customers feel that an organization doesn’t listen to them, they’ll take their business elsewhere. To better understand the people they serve, it’s essential for business leaders to be able to weed through the mass amounts of data and look for valuable insights in the right places. This may sound overwhelming, but it doesn’t have to be. If companies narrow their view to include direct feedback, they’ll hear what customers want—straight from the source. Customers have a lot to say, and they’re talking to companies every single day. But many aren’t hearing them. A quarter of companies do use customer feedback to better understand their needs and solve critical product or service issues, but they most commonly look to ratings and reviews (49 percent) and social media (40 percent). However, that misses the conversations happening across all email, phone, chat or any other channels. To unlock the voice of the customer, businesses must take an omnichannel approach and look at all touchpoints, not just the ratings and reviews. From there, business leaders can finally isolate meaningful feedback on an individual and aggregate level, giving them rich insights into customer wants and needs. It may sound impossible to find this information in the terabytes of data, but the data is currently living in an unexpected place. It’s living in the contact centre. Contact centre agents are often the first to hear about pain points, likes, wants and needs. This information is coming in the form of calls, texts, emails and more, teeing up a vast array of insights that can ultimately benefit the company and increase brand loyalty. With customer communication happening across all channels, companies have access to a treasure trove of data. Yet many organisations simply ignore this data because contact centre data is often siloed, which means many valuable insights fall by the wayside. A mere 12 percent of organisations use contact centre data to make decisions, resulting in lost opportunities. However, with the help of omnichannel analytics, companies can reverse course and finally unlock information that can drive successful business change. But first the contact centre must have a seat at the executive table. Breaking down these data siloes won’t happen overnight, but it’s necessary to ensure long-term success. First, it’s important to align contact centre priorities to business goals. From there, the C-suite will have access to the right customer insights without weeding through a massive data lake. With information from the contact centre, every department within the organisation will finally be able to make informed decisions using direct feedback that clearly defines customer wants and needs. In this digital world, it’s clear that data is here to stay. If anything, it will only increase, which means that businesses must be able to efficiently zero in on the right data in order to take action. Without action, data means nothing, and the C-suite risks missing out on meaningful information to make the right changes throughout the organisation. By capturing and analyzing contact centre data, business leaders have direct access to customer wants and needs and can finally take a proactive approach to change.